Hoodoo is a bold spiritual tradition that helps enhance your wellbeing and solve everyday problems. This practical, do-it-yourself guide shows you how to use spells, rites, recipes, mojos, and curios to enrich your life and be ready for whatever comes your way. 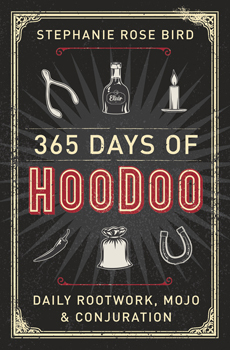 365 Days of Hoodoo starts by providing the basics of Hoodoo, and then gradually builds your knowledge day after day. You'll discover the essential components for your practice, how to master the parts of your life that seem out of control, and the various ways Hoodoo can improve love, prosperity, protection, and much more. This impressive book also features lore, prayers, potions, altars, baths, and meditations.